We've made our case for non-cheesy Halloween decor, but we're also supporters of creeping it real. And if that means setting up a Halloween tree smack dab in the middle of your living room, we're here for it. We'll bring the sparkly orange tinsel and boos. 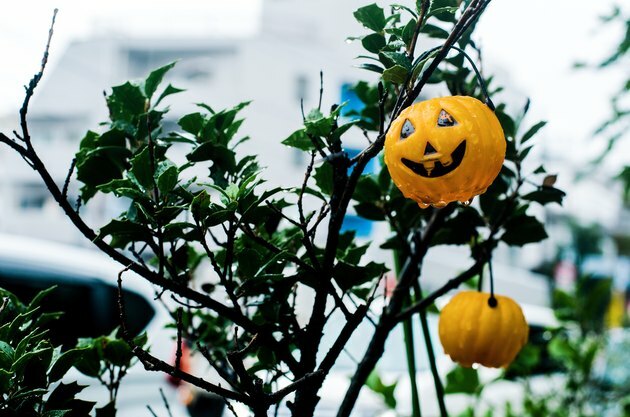 Yes, it turns out that Halloween trees are now a thing. What are they? Either Christmas trees decorated with Halloween ornaments or spooky, spindly mini trees that are decked out to the nines. "Despite being a new trend in holiday décor, Halloween trees have already outranked popular products such as 'Halloween pumpkins,' 'Halloween costumes,' and 'Halloween candy bowls' in terms of the number of searches on the site," Wayfair spokeswoman Julie Cassetina told ABC News.